The irony is I am in need of lotion. Seriously, my hands look like alligator skin. I'm usually so smooth. So I go to Bath & Body Works and lo and behold, they are offering a big sale with items up to 50% OFF. Creams, soaps. lotions, shower gels, mists, body sprays, and more are discounted. Heck, they are even offering mini-candles at 3-for-$10. 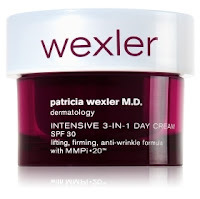 My favorite that I won't use is the Wexler Intensive 3-in-1 Day Cream Anti-Wrinkle Formula for $21.50 (reg. $42.50). I say that because it's made by a doctor and they have a ton of degrees and stuff. Don't worry about paying a ton for shipping since it's just $6 for any and all orders. Click here to view the deals at Bath & Body Works.